Understanding exercise and diabetes is an important part of your diabetic management tools. Managing blood glucose levels is very important for type 2 diabetics. Learning to eat healthy, reduce stress and exercise are a few ways you can help manage your health. There are many benefits to exercise including promoting weight loss, relieving stress, reducing certain medical risks like heart disease, high blood pressure and high cholesterol just to name a few. 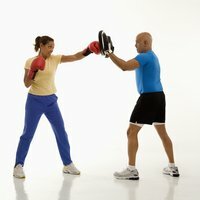 Part of understanding exercise and diabetes is knowing the benefits of being active. Exercise can help you fight this disease and lower your blood sugar levels. Exercise is a well known benefit for type 2 diabetics. Exercise can bring you many benefits that will help you not only manage your blood glucose levels, but make you healthier. It can minimize risks of certain medical conditions. Exercising also brings many medical benefits that go beyond managing your blood sugar levels such as reduced blood pressure, increased bone and muscle strength, lowering cholesterol and improving blood circulation reducing risk of heart disease. Normally the pancreas releases two hormones, insulin and glucagon, to help regulate blood glucose levels. Insulin is used to lower the blood sugar levels and increases the amount of glucagon in the liver. The glucagon slowly increases the blood sugar levels if it falls too low. However, for people with type 2 diabetes, the amount of insulin released is either insufficient or the body does not process them correctly. Exercise can help lower your blood sugar levels when the insulin cannot making exercise and diabetes important. When you exercise your body needs extra energy for the muscles. This energy comes from glucose in your system. When you do short bursts of activity like a quick sprint to the car the muscles and the liver release stored glucose for fuel. With extended exercise like a brisk 20 to 45 minute walk or some structured exercise routine, your muscles takes glucose up to 20 times more than the normal amount. This in turn helps to lower your blood sugar levels. Intense workouts can have just the opposite effect and instead of lowering the sugar levels it can actually increase blood glucose levels. This is something to keep in mind when planning exercise and diabetes management. Because intense workouts are seen as a “stress” by the body, your body will release stress hormones. This stress hormone causes the body to increase the available blood glucose to help fuel the muscles. So if you are doing a strenuous workout, be sure to check your blood sugar levels after your workout. If your blood glucose levels are extremely high, wait to exercise at a later time when the levels are more stable. Any exercise will help you manage your blood glucose levels whether it be strength training or aerobics. Including both types of workouts for your exercise and diabetes control is not only a great way to help lower blood sugar, you will also get the benefits of burning calories and toning muscles. Strength training will help you build stronger muscles and bones but has also shown to help manage Type 2 Diabetes. In a study of Hispanic men and women who performed strength training for 16 weeks results showed significant improvements in glucose control. In fact the results were similar to taking diabetes medication. Not only did the participants see positive results in their blood sugar levels, they felt healthier, lost body fat, were less depressed and felt more confident. Aerobic exercises not only help Type 2 Diabetics manage their diabetes, it has also been shown to reduce the risk of getting diabetes. For people prone to diabetes, establishing a healthy eating plan and a regular exercise routine can help prevent getting this disease. Before you start on your exercise and diabetes workout routines, first discuss it with your doctor. You want to ensure you select a workout that’s right for you and your situation. You should have a set routine where you exercise at the same time. Eat your meals at approximately the same time as well as take your medication at the same time each day. Talk this over with your doctor to determine if any adjustments are needed to your medication. You should also avoid exercising when your medicine is reaching the end of its peak effectiveness. If you plan to participate in a strenuous exercise or you exercise for periods lasting longer than 3 hours, check with your doctor as your medication may need to be adjusted for these types of exercises. Be sure to pick exercises that work best for you and that you can perform in order to stick with your exercise routine. Start out slow and build up your strength and endurance and before you know it, exercising will be just another part of your daily routine. With the right meal plan, medication (if needed) and exercise you can manage your diabetes. Starting any exercise routine for anybody should be taken slowly at first if you are not used to exercising. For diabetics this is no different. Here are some quick exercise and diabetes tips to help you get active. Pick something you will enjoy so that you are more likely to stick to your exercise routine. Make sure you are comfortable during your workout. Have the right exercise apparel and shoes. Always warm up your muscles before you start your workout by simply walking or marching in place for about 5 minutes. After your warm up and after your workout you should always stretch your muscles to prevent injury. Cooling down after your workout is just as important as warming up. Cool down by slowing down your exercise and keep moving at a slower pace until your heart beat is back to normal. Check out these other exercise tips to help you with exercise and diabetes. Finding ways to manage your stress is important to manage blood glucose levels. Find out more about diabetes, symptoms and types. Learn more about diabetic diets and how to build the perfect meal plan for you.